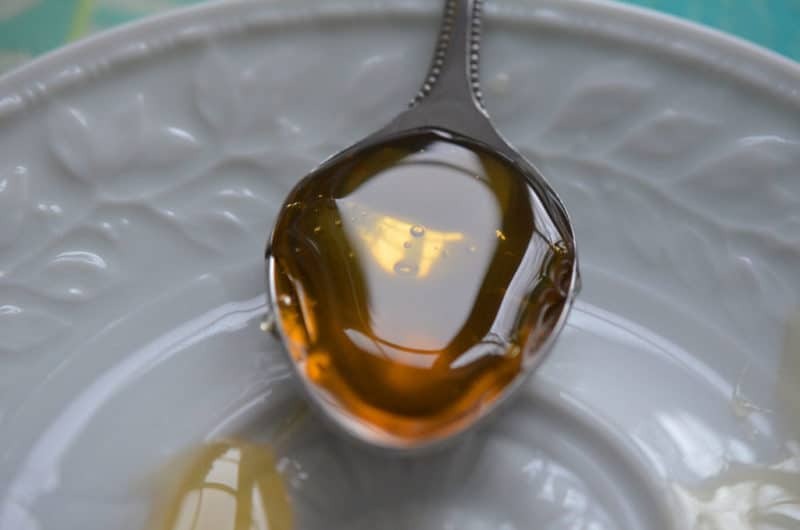 Roxanne L asks: Are raw honey and/or pure maple syrup good sweetener substitutions? With the holidays upon us we know there will be a lot of interest in dessert, so thank you for your question, Roxanne! The short answer is that all sweeteners impact your metabolism. Whether it is the toxic overload from artificial sweeteners or the metabolic trickery of zero caloric sweeteners or even the promise of being “natural” such as the two sweeteners you question – all sweeteners have consequences once eaten. And, if you are healing from diabetes, obesity or FLC syndrome (where you feel like crap), you will want to limit or completely omit all added sweeteners from your diet. Maple Syrup, for example, contains the minerals manganese and zinc, as well as special bioactive compounds like phenols that act as antioxidants in the body. Tip – choose the darker Grade B variety to maximize your phenolic content! Honey, contains phytonutrients that function as antifungals and antibacterials to keep our immune systems happy, as well as vitamins and minerals. Like maple syrup, choose the darker honey for increased health protection. Even with all these benefits, there’s still evidence that limiting your intake of all sweeteners is the prudent way to go…read on to learn about glucose, fructose and sucrose. Honey and maple syrup contain glucose, fructose and sucrose. Our bodies can handle moderate amounts of these sugars like those naturally occurring in fruits and vegetables. But, there is a limit and once that limit is surpassed, sugar starts acting like a toxin in our bodies. Our tongues don’t discriminate against these sugars, but our bodies can definitely tell the difference. While gram for gram they provide the same amount of energy, once they hit our bloodstream, they are processed and behave differently in the body. Excessive fructose gets stored in your liver, converts to adipose fat tissue and results in non-alcoholic fatty liver disease (NAFLD). Research also shows that fructose is lipogenic and behaves more like a fat than a carbohydrate in the body. This is cause for concern because fruit juices, sweeteners like agave nectar and the worst of all, HFCS, dominate our diet. Sucrose is what we call table sugar and is made of both glucose and fructose. In excess, sucrose raises our blood sugar while storing excess fructose as fat. So, just because honey and maple syrup are “natural,” it doesn’t give you free license to eat them without risk to your health and waistline! Remember, natural doesn’t always mean healthy. But remember, at the end of the day, both these sweeteners contains varying levels of glucose, fructose and sucrose, so practice moderation and use sparingly.